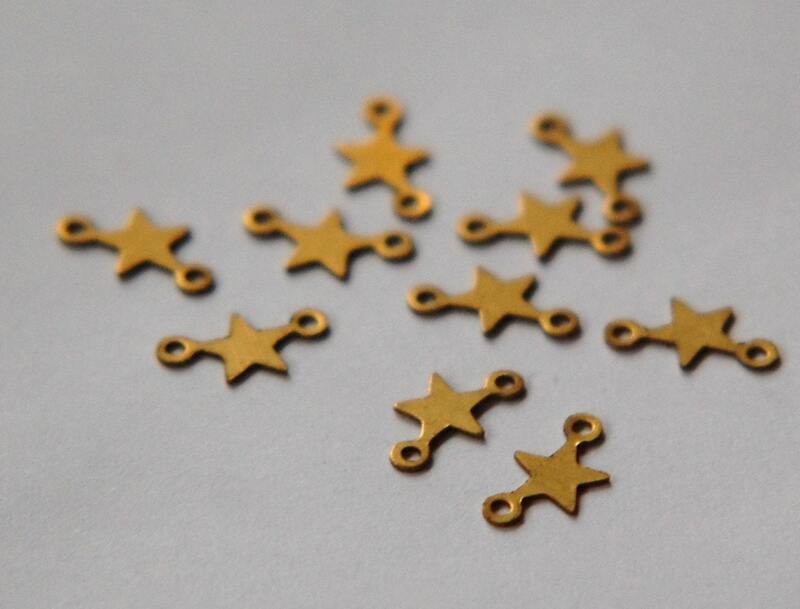 These are little raw brass star findings. They have 2 loops and measure 11mm wide X 7mm high. You will receive 16 pieces. Super fast shipping! Thank you.